UPDATE: Bernard Tomic has claimed his second career ATP title with victory over power-serving Croat Ivo Karlovic in the final of the Claro Open Colombia in Bogota. Bernard Tomic has claimed his second career ATP title on the ATP with victory over power-serving Croat Ivo Karlovic in the final of the Claro Open Colombia in Bogota. 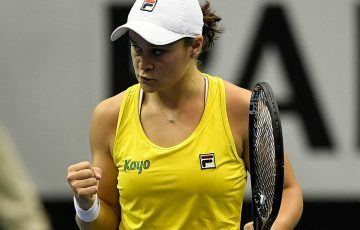 The Australian world No.124 withstood 39 aces from his second-seeded opponent to take Sunday’s match 7-6(5) 3-6 7-6(4) in two hours and 13 minutes. 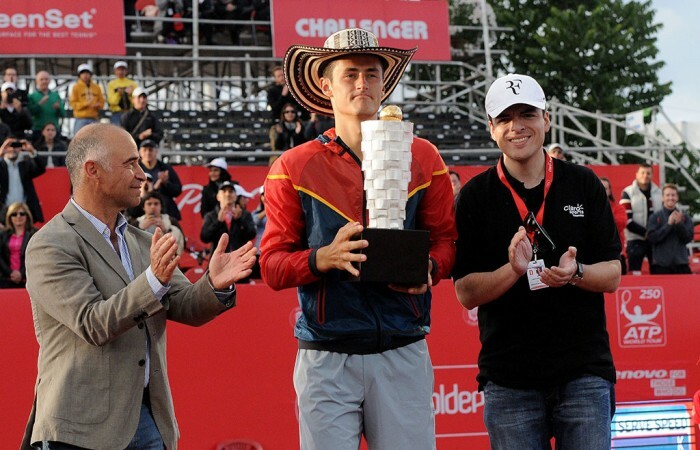 Tomic’s performance in Bogota marked the first time that he had won consecutive matches since undergoing double hip surgery in late January. “He’s a very difficult player. He won here last year. For me it was a difficult match. I kept trying and believing in myself. Against him, if you stop believing and trying he will beat you,” Tomic reflected. The win is set to shoot the 21-year-old back into the top 100 on the world rankings – possibly as high as No.70. 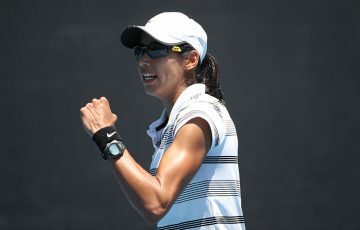 It is his first title win overseas – following his triumph at the 2013 Sydney International – and comes with a healthy $US120,000 ($A129,835) paycheck. 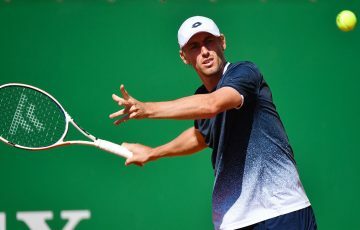 Tomic is the second Australian to beat Karlovic in an ATP final this past week, with veteran Lleyton Hewitt toppling him in Newport. 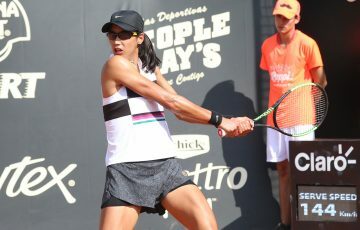 The victory ended Karlovic unbeaten record in the Colombian capital; the reigning champion had built an eight-match winning streak at the event. 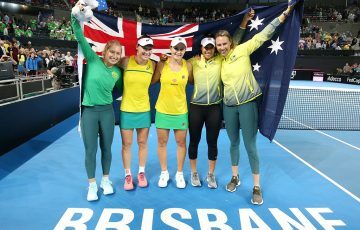 The good news continued for Australia in the doubles final, with Samuel Groth and Chris Guccione defeating local duo Nicolas Barrientos and Juan Sebastian Cabal 7-6(5) 6-7(3) [11-9]. 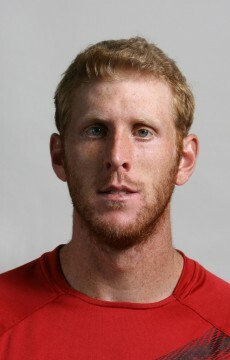 A week after winning alongside Hewitt at the grasscourt event in Newport, Rhode Island, Guccione won his third doubles title from three finals on the ATP World Tour. 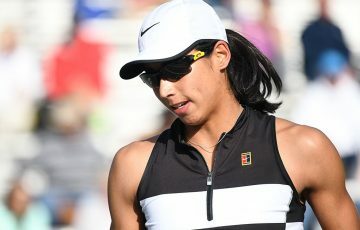 “Feels good … I won a lot of Challengers this year, so it feels good to win a couple tour-level tournaments also,” Guccione said. 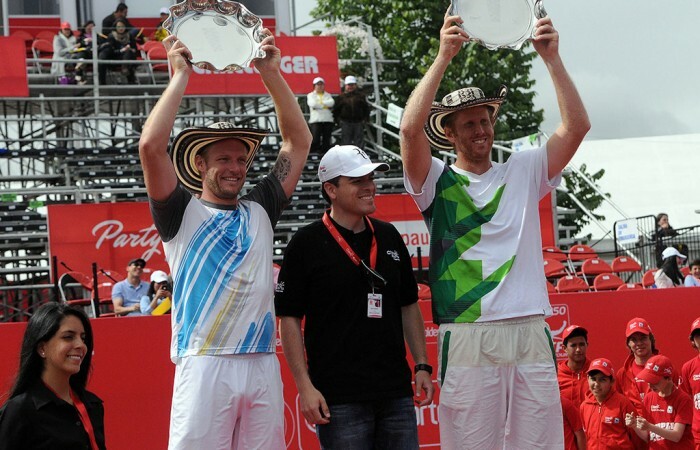 The victory marked Groth’s maiden ATP trophy. “We combine really well and we serve really well. 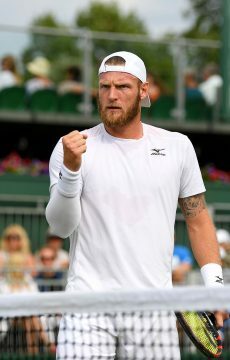 We have a lot of fun playing together and I think that’s key,” Groth said of his partnership with Guccione.